Have you ever thought, “If we could increase our traffic by X%, digital marketing would become so much easier”? If so, don’t worry—you’re not alone. 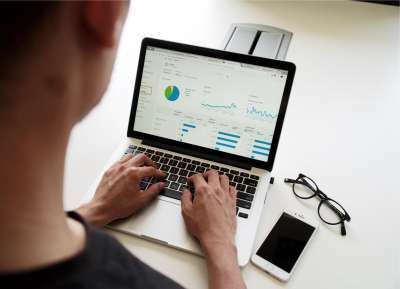 Many companies choose to funnel a large percentage of their marketing spend into advertising, hoping to scale their business by attracting large numbers of new customers. Unfortunately, paid customer acquisition has become increasingly competitive and expensive. That’s why we love A/B tests that increase website conversions. Why toil away to get more traffic when you can get more out of the traffic you already have? We ran three simple copy tests and discovered they can make a massive difference in conversion rates. Since one customer can make a six- or seven-figure difference in the B2B world, conversion rates are a big deal. Here are three dead-simple conversion rate optimization techniques that moved the needle for us. Time and time again, we’ve helped clients by identifying simple mistakes in alignment between ad copy and landing page. It’s a pervasive issue even for established mid-market businesses. Take a look at this example of fantastic alignment. The ad copy clearly connects to the messaging on the landing page. The user is getting exactly what they asked for when they clicked on the ad. Many companies assume that they’re missing some advanced, secret technique to succeed. Often, the truth is they simply need a thorough audit to check if they’re following best practices. A lower score often occurs when a marketer has many keywords or audiences to target. They try to save time by broadly matching these targeted segments with a small number of ads and/or landing pages. Unfortunately, this generic, and admittedly lazy, approach leads to disjointed messaging on the ad and/or landing page which harms the user experience. Sometimes, companies even make the mistake of sending users to their home page rather than a landing page. The problem with this approach is that the messaging is often too broad on the home page, and there are too many distracting elements and links that lower the chances of users taking the action you want. Here’s an example of this broad marketing approach in practice. Here, the landing page in question is actually the company’s homepage (note the “log in” button). 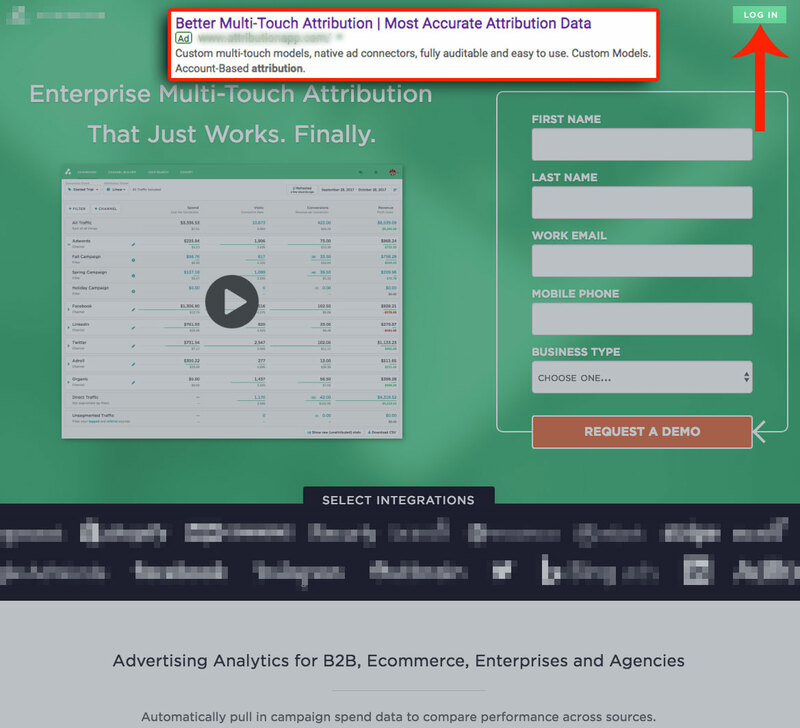 Users click the ad looking for the custom attribution modeling the ad is promoting, but they have to scroll halfway down the page to see a snippet about the feature. Since the user is unlikely to find what they are looking for because it’s buried in a sea of content on the homepage, they are much likelier to bounce quickly than to ever become a lead. Plus, what a turnoff for organic users. You hit the homepage, and the first thing you see is a long form! When AdEspresso sent people to a dedicated landing page rather than their homepage, their cost per conversion dropped by 37%. 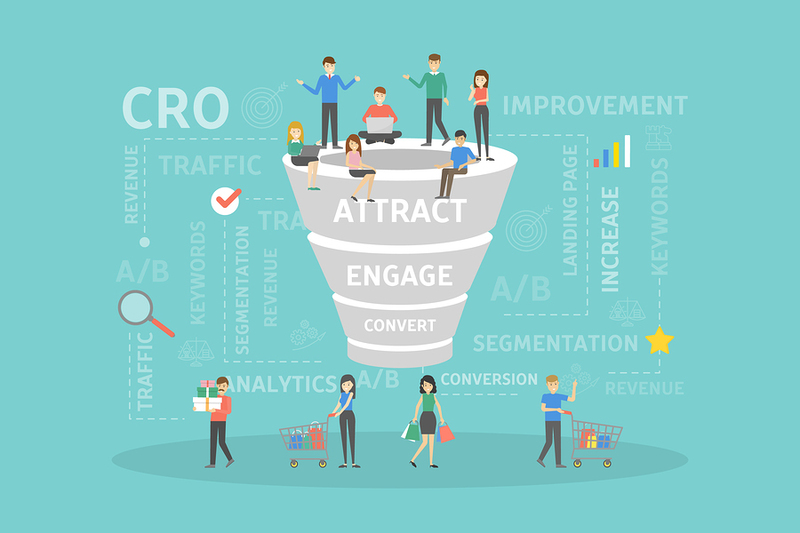 A great headline with consistent messaging throughout the marketing funnel can double your conversions overnight. And we have the numbers to prove it. 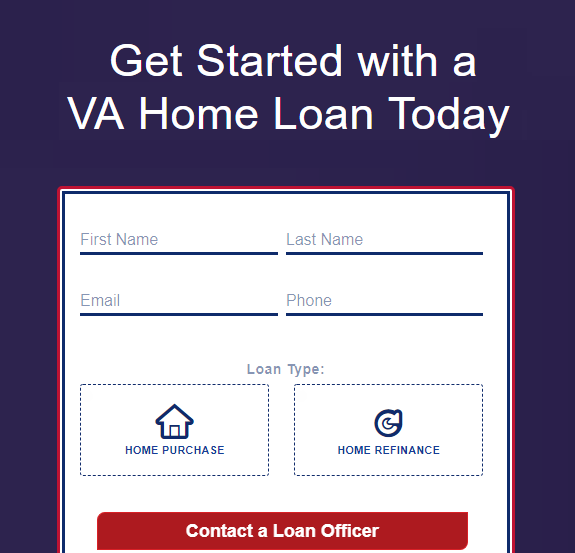 One client of ours helps veterans get loans. Their ads offered a $10,000 grant and converted well. I mean, who doesn’t love free money? But their performance had room for improvement. We found the headline on their landing page was different from that of their ad. When users are unsure whether they have landed on the right page, the likelihood that a user will bounce without converting increases greatly. This simple headline tweak improved conversion rates by 123%. Match your landing page copy with your ad copy, especially the headline. A great offer on an ad is good. But a consistent offer on the ad and landing page is even better. Make your offer and benefit relevant, valuable, and compelling to your target audience. Entice the visitor with the benefits of your offer, not the features. If users can’t find your contact info in milliseconds, you have a problem. That may seem harsh, but visitors need to find out how to contact you immediately. They prefer convenience, and sometimes go to your site purely to find out how to reach out to you. That’s because visitors want to ask questions that will help them decide whether to purchase—or perhaps, they’ve already decided and want to speak with an actual person to close the deal. With a flurry of competitors your prospect can choose from, confusion or frustration with finding contact info can cost you a customer. Users can be impatient, and they have the luxury to cross choices off their list based on even the slightest friction. “On many websites the contact information is buried at least five links deep, because the company doesn’t really want to hear from you. And when you find it, it’s a form or an e-mail address. Tony said this many years ago, yet if you go to Zappos.com right now, the phone number is still the same and still clear as day in the header of the site. Despite the growth and changes in his company, he’s held true to this claim because he values an excellent customer experience. Having a clear path to your contact info is mission-critical if you want to boost your conversion rate. Our client wasn’t receiving enough phone calls through AdWords advertising and SEO. When we looked at their site, it was clear that the phone number was visible but not prominently displayed. We didn’t need to do anything sophisticated; we just increased the font size and changed the alignment of the phone number. This small change made the contact information way more visible and decluttered the distracting design. What separates great marketers from mediocre ones? Data-driven testing. For this example, many marketers would stop here and assume that their change is superior and will produce the best results. But numbers will tell you whether your hypothesis is correct or not. Even for experienced, successful marketers, what they assume will work better often performs worse. It’s not always their intuition that makes them successful; it’s often their ability to stick with the data. Calls driven by digital marketing spiked almost immediately after our style changes to the header, and continued to climb weeks after the test went live. If you look at the graphs below, you can see the growth. We started the test right at the second peak from the left. After 30 days, calls increased by 250% compared to the previous 30-day period. Test adding contact information on the top of your landing and/or home page. Ask yourself: Can it be bigger? Can it be clearer? Is there a font that’s easier to read? Are the current colors distracting or do they hide the number? If so, make the necessary changes and test for improvement. Interest… in what? As you can tell, the button message was vague and confusing for visitors. It wasn’t clear that clicking the button would subscribe the user to email updates. And it didn’t mention a magnetic benefit that the user unlocks by converting. Even on large, respected websites, typos and bewildering messaging can show up. 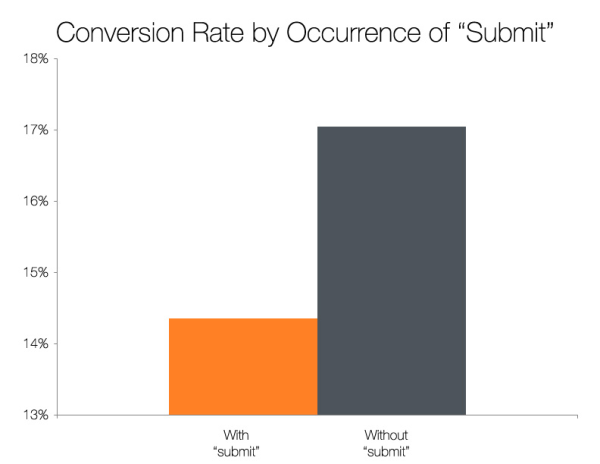 This common mistake opens an excellent opportunity to improve conversion. Review the copy on your website, especially on your most important business-focused pages. It’s a simple way to spot easy fixes to improve the clarity of your messaging and increase your conversion rate. The writer of “Sign Up For Interest” was probably trying to convey something more like, “Sign Up If Interested,” but the message got mixed up because he or she was in a rush and didn’t think it through from the user’s perspective. 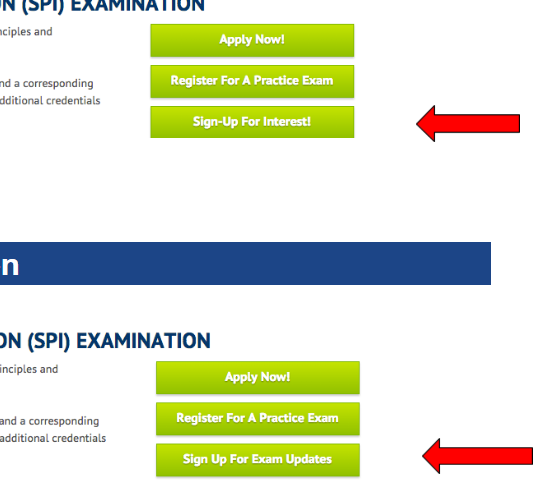 The click-through rate (CTR) on the test blew the original out of the water! The CTR increased by 167% with a 99% statistical significance. Beyond typos, vague CTAs are still a prevalent issue because digital marketers are unaware of their negative impact. Clear, benefits-focused CTAs pay dividends. But because it’s human nature, people tend to naturally word CTAs based on what’s in it for them instead of what’s in it for the people reading the message. You’ll see this a lot with generic button copy, like “Download” or “Submit,” instead of something more enticing, like “Get 50% Off.” However, this standard approach can leave potential customers yawning. In any case, the button leads to the same place—but the message determines whether you get the click and opt-in. People don’t like “submitting” their information. Place yourself in the shoes of the user, and it’ll make all the difference. Furthermore, bad execution kills even the best intentions. Messages that seem clear can befuddle the user, and the writer may not even know the effect they’re having on conversions. Imagine you’re writing for an alien who has never been to earth, or for a foreigner or a child. Ask yourself how you can say what you want to say as quickly, clearly, and obviously as possible. 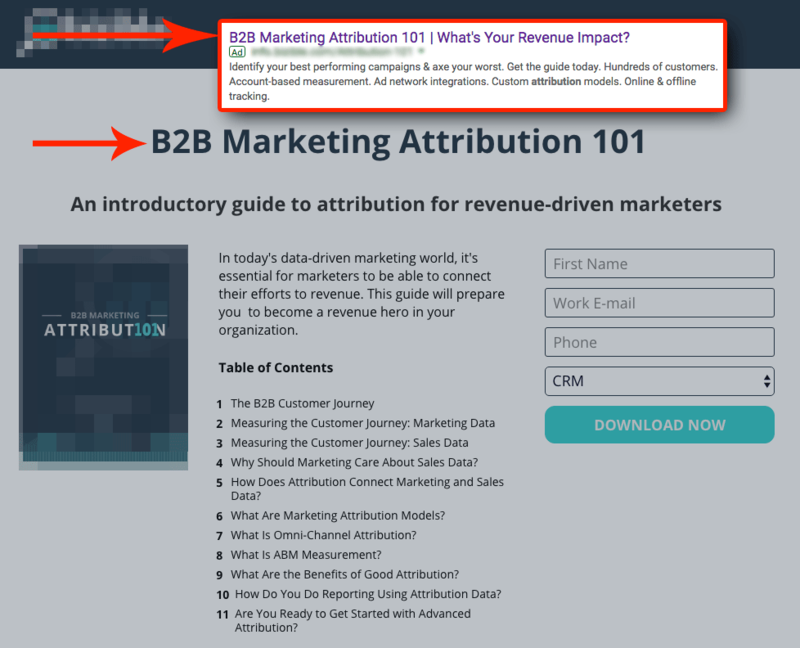 Successful online businesses are constantly testing and improving their CTAs. HubSpot did a homepage redesign, and one of the three significant changes they made was having one strong, clear CTA rather than multiple hidden, cluttered ones. This change contributed to a 105.9% increase in conversion rate. Test benefits-focused copy with possessive pronouns for essential conversion points (like “my,” “your,” and “yours”). Make sure you have a compelling offer and a clear CTA. Testing button copy or color is often low impact compared to changes you can make with the design, layout, and offer of a landing page. That’s not to say you should overlook the small elements—in the grander scheme of things, everything matters. But it’s all about prioritizing the most impactful changes first. Before we ran a few simple A/B tests, interested prospects slipped away. After plugging those holes with conversion rate analysis, we rescued a lot of dollars. The headline test eliminated confusion that made people leave the landing page. The phone number test let more leads know they could call. 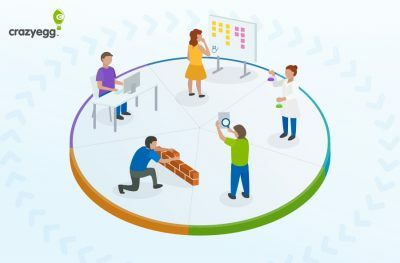 And the button test captured more prospects who wanted to learn more about the company’s services by making it clear how to do so. When you have a website optimization strategy, a few tweaks can make a big difference in your conversion rate. And it’s way easier than grinding away to get more traffic. 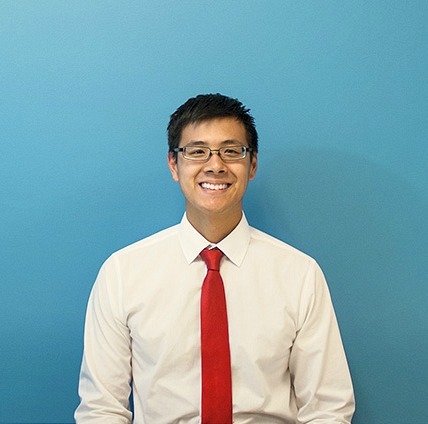 Will Chou is an SEO and copywriting strategist of WebMechanix, the #1 B2B digital marketing agency in the DC/MD/VA area. Discover how simple changes increased registrations by 53% for a client with this free case study.